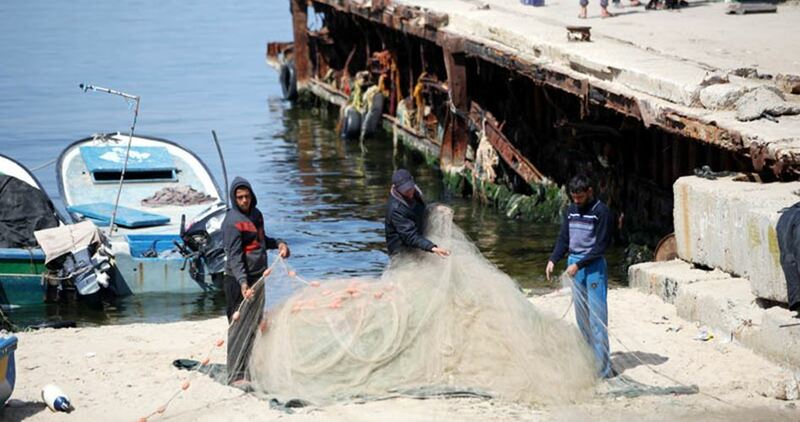 The Israeli Occupation Authorities (IOA) have indefinitely suspended on Wednesday an earlier decision to expand Gaza fishing zone to nine miles. Nizar Ayyash, the head of the fishermen association of the Gaza Strip, affirmed that Israel decided to indefinitely suspend its earlier decision to expand the northern coastal fishing zone from the current six nautical mile limit, to nine nautical miles starting from November. He pointed out that the Israeli decision was taken without prior notice or justified reasons. Earlier last month, Israel declared intention to temporarily expand the designated fishing zone off the northern coast of the besieged Gaza Strip to nine miles for the duration of the month of November. The extension could be effective for another month, according to Israeli authorities. As part of Israel's blockade off the coastal enclave since 2007, Palestinian fishermen have been required to work within a limited "designated fishing zone." The fishing zone was technically set to 20 nautical miles according to the Oslo Accords signed between Israel and the PA in the early 1990s. The Israeli occupation army on Tuesday evening carried out military exercises in Furush Beit Dajan village, east of Nablus, without any regard for the safety of the residents and their property. Local farmers reported that they were surprised to see Israeli tanks and armored vehicles between their homes and in their cultivated fields. They added that the Israeli army deliberately caused widespread damage to their crops after they deployed their military vehicles on their plots of land. The Israeli army often carries out its military drills on the outskirts of the village and rarely inside its neighborhoods, according to the farmers. Six Palestinian fishermen were kidnapped by the Israeli occupation navy from Gaza’s northern shores on Tuesday morning. 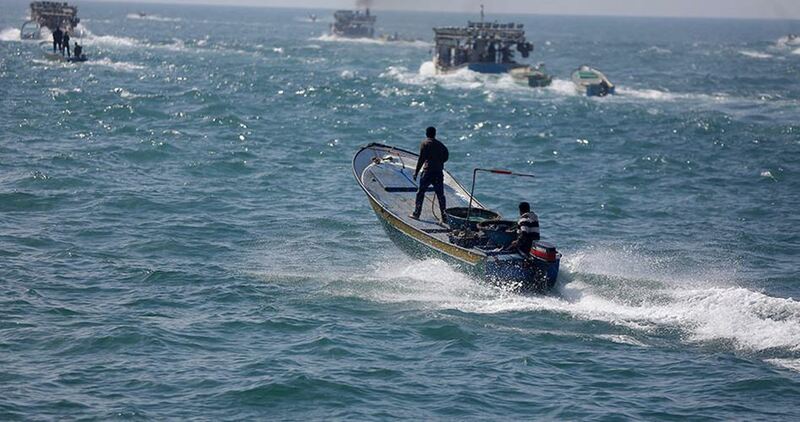 Head of Gaza’s Fishermen Union, Nizar Ayyash, said the Israeli naval forces opened heavy machinegun fire on the Palestinian fishermen sailing off Beit Lahiya shore, in northern Gaza Strip, and kidnapped six fishermen before they confiscated their two boats. Ayyash identified five arrested fishermen as the Abu Reyalas Mohamed, Shaher, Alaa, and Khaled, along with Hassan Abu Samaan. Over recent years, the IOF has stepped up arbitrary abductions and crackdowns against Palestinian fishermen setting sail off the blockaded coastal territory for unknown reasons. 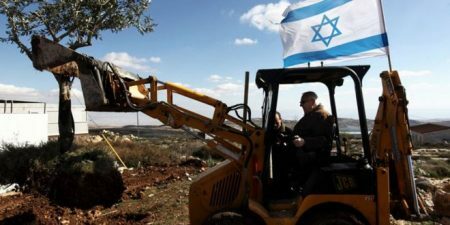 Israeli bulldozers from the Leshem settlement, on Monday, continued leveling lands west of Salfit, in the northern occupied West Bank, while Israeli forces confiscated farming equipment in Tubas. 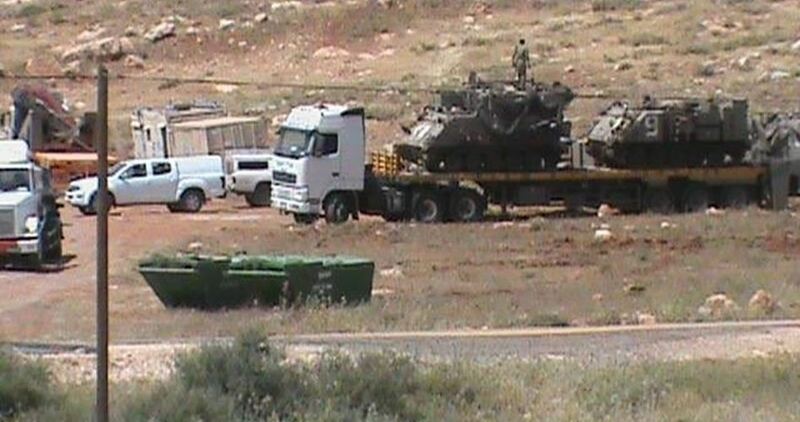 The bulldozers came, this time, to a new area near Deir Ballout town, to the west of Salfit. Activist and expert in the settlement files, Khaled Ma’ali, said that the Leshem settlement, which was announced three years ago, was built on private Palestinian land used for agriculture and farming. Ma’ali added that the settlement had erased archaeological sites and surrounded the Deir Sim’an, violating the international law. In addition, one thousand Israeli settlers broke into Kafl Hares area and carried out Talmudic rituals under heavy protection of the Israeli army. At about the same time, Israeli forces confiscated four tractors belonging to four families living near Tubas, in the northern West Bank. 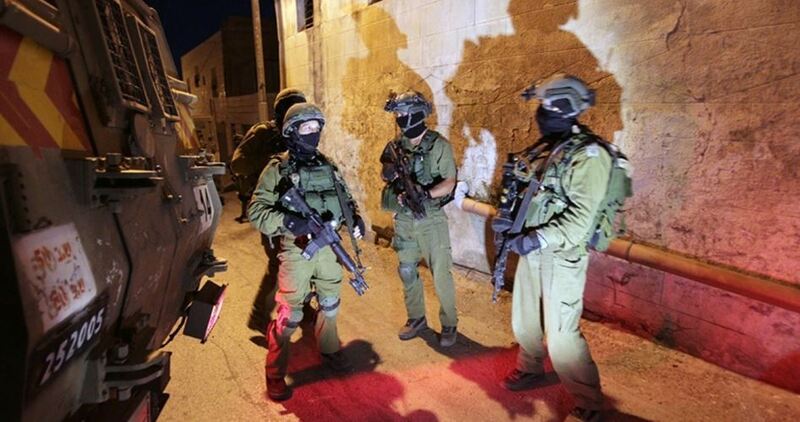 Several Palestinian civilians were kidnapped by the Israeli occupation forces (IOF) on Monday in a mass abduction sweep launched across the West Bank. Ex-prisoners Ribhi Khazana, Ibrahim Nasser Hamad, and Malek Hamed, along with citizen Tayseer Maher Shaker and Luay Fares, a nurse, were kidnapped by the IOF from Ramallah’s town of Silwad. Another Palestinian civilian, identified as Jihad Nidhal Alyan, was kidnapped by the IOF from Al-Jalazoun camp, in Ramallah. The campaign also targeted Mootaz and Abdul Fatah Nayef Muslameh from Al-Khalil’s town of Beit Awa. The occupation troops further kidnapped Hani Maher Kayed and Malek Midhat Kayed from Sebastiya, in Nablus. At predawn time, over seven IOF jeeps rolled into Merka town, in southern Jenin, and cordoned off residential alleys before they closed off the main entrance to the town for hours. 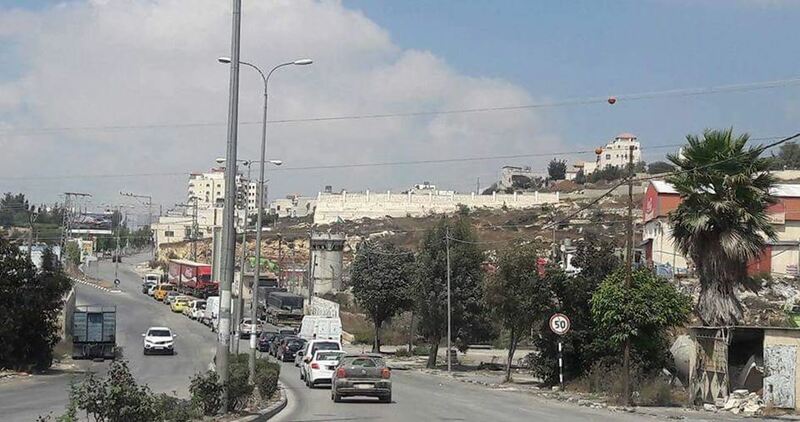 The IOF sealed off the Merka-Qabatiya access-road and the Jenin-Nablus thoroughfare with two military checkpoints, blocking Palestinians’ movement inside and out. The IOF wreaked havoc on civilian homes in Merka’s outer edges and subjected the inhabitants to intensive questioning, before they backtracked on the daybreak. Overnight, the Israeli military forces also stormed Qalqilya’s eastern town of Azzoun, in the northern West Bank, and showered the area with sound bombs and stun grenades. Fire broke out across olive groves as a result. Civil defense crews showed up at the scene and put out the fire. The IOF rummaged into the home of Nassar Mohamed Nassar in the town and cracked down on the family members before they locked them up in one room and ravaged the house. The occupation troops reportedly closed off all access roads out of and into the camp, resulting in traffic jam. A Palestinian child suffered several injuries on Saturday evening after Israeli soldiers physically assaulted him in Beitunia town, west of Ramallah. The Red Crescent said that one of its ambulance crews evacuated 13-year-old Ameer Farrukh from an area near the bypass road in Beitunia after his exposure to severe beating by soldiers. It added that the child suffered leg fractures and bruises in different parts of his body. Local sources asserted the boy was assaulted on Idrees farm near the Israeli-controlled bypass road, noting that he was alone in the area. In a separate incident, a group of Palestinian farmers from Huwara town in Nablus survived a possible attack by Jewish settlers from Yitzhar settlement after an Israeli security guard premeditatedly prevented them from harvesting olives from their grove. 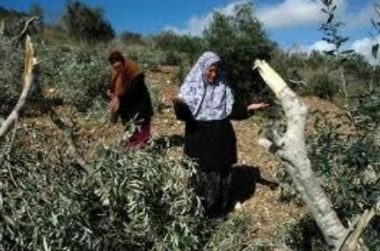 According to Huwara municipal chief Naser Hawari, a security guard from Yitzhar settlement intercepted the farmers upon their arrival at their olive fields in al-Lahf area, west of the town, and told them that they could not collect olives, claiming that their coordination with the Israeli authorities to enter their land had been cancelled. As a result, the farmers had to go back and as they were walking, they saw a horde of settlers blocking the main road waiting to assault them, so they took another route to avoid them. The farmers had already been permitted by the Israeli authorities to enter their fields to harvest olives for three days. A group of extremist Israeli colonists invaded, earlier Saturday, a Palestinian olive orchard in Wad al-Harayeq area, south of Nahhalin town, west of Bethlehem, and cut more than 18 large olive trees. The assailants apparently tried to cut more trees, but a fence that was around large areas of the orchard foiled their attempts. Journalist Hani Fannoun told the Maan News Agency that the lands, owned by his family, are located close to the Gush Etzion settlement block, especially Beit Ayin colonialist outpost. Fannoun added that the orchard, and the lands around it, were illegally confiscated by Israel, but the family managed to regain control over their orchards more than twenty years ago, after heading to the Israeli Supreme Court. Fannoun also stated that the land in question is more than ten Dunams (2.47 Acres), and that the lands around it have been illegally confiscated by Israel and became part of Israeli colonies in the area. It is worth mentioning that various orchards in the area have been subject to frequent similar attacks by groups of extremist Israeli colonizers, especially before and during the olive harvest season. The Israeli Occupation Forces (IOF) erected Friday afternoon a number of checkpoints at the entrances to al-Khalil to the south of West Bank. Eyewitnesses affirmed that several Palestinian vehicles were stopped and searched at an Israeli military checkpoint near Halhul Bridge in the city. Two Iron Gates were also closed while another military checkpoint was erected to the west of the city, the sources added. Israeli forces were also deployed in large numbers in different areas in the city which led to the outbreak of violent clashes after Friday prayers. Meanwhile, Israeli settlers stormed Einbos town, south of Nablus, under the protection of Israeli forces in total provocation to local farmers who were harvesting their olive trees in the area. Along the same line, Israeli forces arrested a local farmer from his agricultural land in Qusin town, west of the city, and forced several others to leave their lands.